As we enter the last month of our school year, I would like to thank the entire NNHS community for their trust in and support of me this year. I am grateful for your willingness to work with me in a spirit of cooperation. Every school year contains predictable rhythms as well as unexpected challenges. The challenges faced this year, including fan behavior at the NNHS and Catholic Memorial basketball game, as well as incidents of racial and religious insensitivity, sparked deeper conversations about our school community. Following these incidents, we began a series of school-based conversations that have resulted in promising new initiatives. I am confident that when we support mental health and create a welcoming and inclusive school environment, students and staff are in the right frame of mind to teach and learn to their potential. To begin, I held open meetings with students and staff during which we discussed the incidents specifically and shared emotions, thoughts, and feelings’ surrounding these unfortunate acts. From these conversations, it was clear there was a strong desire for an ongoing discussion, as well as the creation of a sustainable action plan to acknowledge, support, and celebrate the diversity in our school. I am very pleased to announce the establishment of Voices of Inter-Cultural Engagement and Empowerment (V.O.I.C.E. ), a new student group working, with staff support on a variety of initiatives including a Diversity Day, One School One Book, and Anti-Bullying. This group also plans to create an advisory council to provide a sounding board for the principal, support individual clubs, promote cultural competency, and work to ensure everyone feels included and respected. V.O.I.C.E. and G.S.A. ( Gay Straight Alliance) recently presented at our faculty meeting to share insights and proposals for the future. In addition, I am working to create a dedicated space within our building, to be open in September of 2016, for students and staff who are working on Cultural Competency initiatives. To illustrate the importance of this ongoing work, I share with you information about an activity included in our Sophomore Carnival last week. 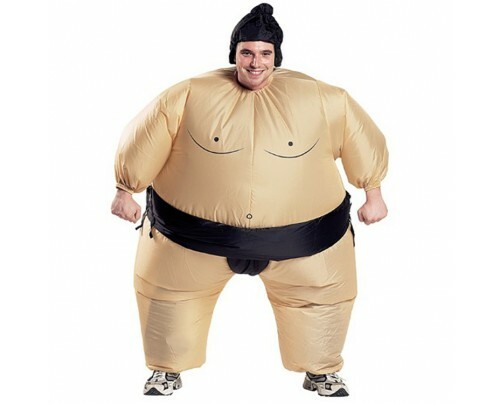 The activity, which had been included for many years, involved students bouncing off each other in padded Sumo wrestling suits. Members of our community reached out to me to share that this costume was demeaning and hurtful. On behalf of the entire Newton North community, I apologize for the pain and upset caused by the inclusion of this activity. NNHS has and will continue to be a reflective institution, striving to be a community that is safe and welcoming for each and every individual. This year, it has become clear to me that we must have a stronger focus on how our choices and behaviors, regardless of intent, impact others and cause pain. As a school, we have solidified our commitment to improve our school culture by putting in place new structures and spaces that will allow us to continue the conversation next year. This task will always be a work in progress, but I look forward to what is to come and thank you again for your ongoing support.